The sectional title sector was undoubtedly a significant market disruptor during the past decade, with rampant development not only transforming the Cape Town property landscape, but also precipitating numerous significant market shifts and emerging as the strongest sector in many areas. Underpinning this market share growth were several key factors, including changing consumer needs, affordability challenges of a weakening economy and increased demand in already developed areas, says Brendan Miller, CEO of Lew Geffen Sotheby's International Realty on the Atlantic Seaboard and the City Bowl. Densification has been most prolific in nodes with topographic limitations to further development and a scarcity of greenfield space, such as the Atlantic Seaboard where the sectional title sector has skyrocketed in recent years. "The sectional title market fared considerably better than the housing market during a tough 2018, and we expect the trend to continue this year," says Miller. "Over and above the growing demand for low-maintenance lifestyles and increased security is the affordability factor, not only the price of property, but also the cost of water, electricity and rates." Convenience is one of the key reasons for the Sea Point beachfront's resurgence as one of the most sought-after areas on the Atlantic Seaboard - an array of shops and restaurants are on their doorsteps and the promenade and beaches across the road are ideal for exercise and family leisure time, he says. Another contributing factor to the resilience of this sector is the popularity of Atlantic Seaboard apartments with empty nesters and other buyers who are downsizing, says Miller. 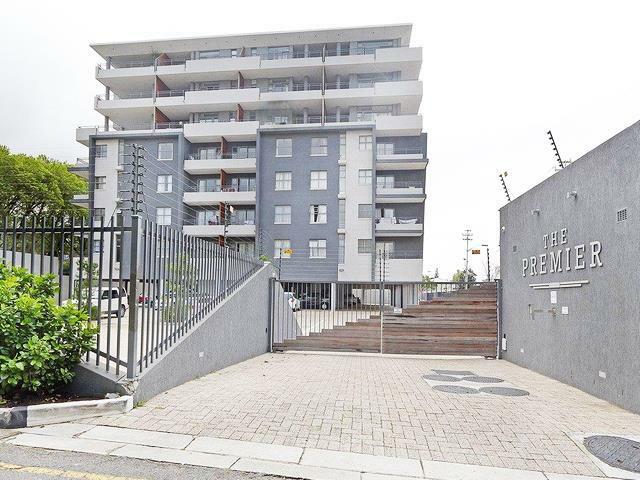 He adds that the most sought-after units on the Atlantic Seaboard are modern, spacious apartments in security complexes in the R5 million to R8 million price band. "Older apartments that need some TLC and modernisation have become more difficult to move as people are not keen to renovate at the moment." Many agents in the Southern Suburbs are also reporting active sectional title markets, albeit with considerably more buyer caution than in previous years. "Demand is definitely on the up in this sector, but it's clearly a buyer's market as investors are taking much longer to make a decision and are shopping around for weeks before making their choice," says Gregory Hadenham, Area Specialist for the group in Kenilworth and Claremont. "Buyers are also becoming more educated and are knowledgeable regarding what sellers originally paid and for how long a property has been on the market. Some even came to a viewing with a CMA report in hand." According to Hadenham, the student market is still strong, and during December he was inundated with enquiries from parents who were urgently looking to buy properties for their children. The most popular areas in this market are Claremont, Kenilworth, Rondebosch and Newlands, as well as Observatory and Mowbray, and most buyers are looking for units in security blocks with two or more bedrooms, secure parking and preferably north facing. "The most active price band is between R2 million and R3 million, and many buyers are happy to renovate, especially investment buyers who are planning to rent out their properties." Older apartment blocks are still sought after by developers who then renovate to resell and these units are popular with buyers if priced correctly and a number of new sectional title developments came up in 2018 and sold well, says Hadenham. In the Winelands, demand for apartments is still encouragingly high, especially from young professionals and for students, but prices are lower and stock levels have increased, especially in areas furthest from the town centre and campus. This is according to Chris Cilliers, CEO and Principal for Lew Geffen Sotheby's International Realty in the Winelands, who says that their office is still receiving many enquiries, but not as many are translating into sales. "Parents with children at university are still actively buying, but investors looking to enter the student rental market have dropped off considerably," says Cilliers. "Most popular for students are flats as near to the campus as possible, and there are several new blocks of student accommodation currently being developed. However, developers are now moving to the private res model where one buys a single en-suite room and there are communal living areas and kitchens." Young professionals tend to prefer two bedroom units priced below R2 million that are situated in complexes with facilities like pools and gyms. Cilliers adds that sectional title development is also ongoing in the Helderberg area, especially in Paardevlei and De Velde in Somerset West, which both enjoy close proximity to amenities and easy access to the airport.